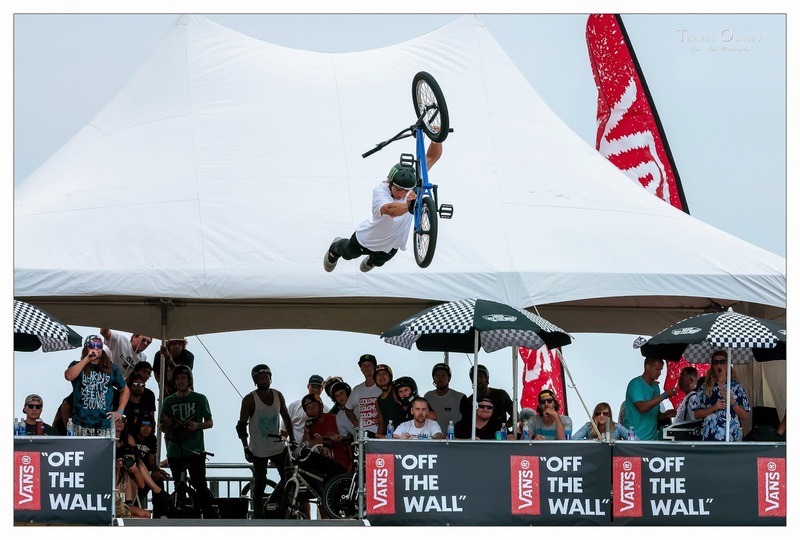 One of the bigger events that has become established at the East Coast Surfing Championships is the BMX exhibition. 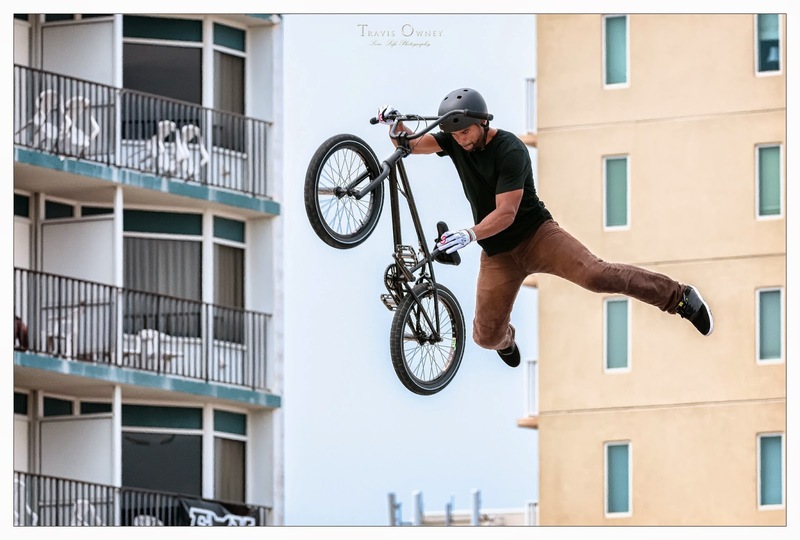 Several top-level pros and X-Games finalist arrive each year to put on a show on a massive ramp course set up on the beach. Watching these riders on television doesn't really give you a sense of just how high that they are flying. For the first photo below, I was on the top floor of a 3-story media tower and I was shooting up! Insane! Nice and short. I'm a bit distracted today trying to recover from a late night at a concert in Harrisonburg, getting ready to start the unenviable tasks of cleaning my camera sensors (dust bunnies galore), and 2nd Chicago Bears pre-season game tonight (I know, it doesn't count but still...). Oh yea, working the day job too. Back to the grind.